Riding to work is a great way of getting exercise and it will help your bank balance too as you’ll be saving on the cost of fuel. Those who live close enough to work and the areas they like to visit at the weekend could even sell their car. But before you take things that far, check out our guide to the best commuter bike for the UK. These bikes are great for those who use the train for part of their journey or anyone who has little space at work to store their bike. There’s way more choice in this sector of the market than you may be aware. The Tern Link Uno is one of the more obvious choices. This bike has a single gear so it’s only good if you’re riding for a short while. 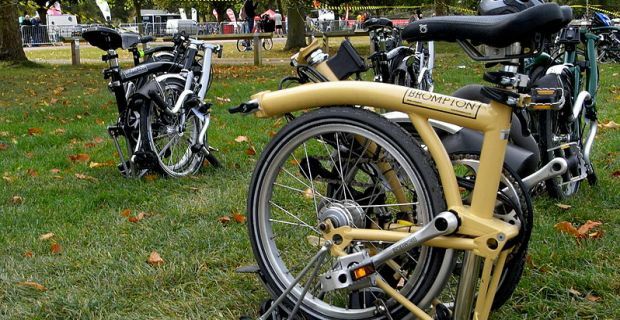 It costs £425 and folds down in seconds, which makes it comparable with other similar bikes like the Brompton S2L-X. You’ll need at least £765 to get your hands on a folding bike from the British firm whose entry level machines have one gear. For a really neat package you’ll need £1,480 which will put a Brompton S2L-X in your hands. You get a great bike that rides well and a neat little package that’s easy to store away. If you’re interested in getting a flat-bar road bike for your journey to work, look no further than Specialized’s Sirrus bikes. The cheapest option is £400.00 but you won’t be getting a cheap-looking bike for the money. The Hoy Shizuoka city bike is another great option for those with the space to store a bike. As you’d expect from the name, this one’s optimised for use in the city so your £620.00 will get you a comfortable ride over rough roads. At 10.5kg this is a light mountain bike that can be picked up and lifted up a short flight of stairs when you reach your place of work. If you've now decided on the bike for you, check out our guide to bike sizes. Looking for a universal yasmina ladies mountain bike? Have you heard about electric mountain bikes?